Bacon and potatoes! Perfect match! And paired with mushrooms is an irresistible meal! 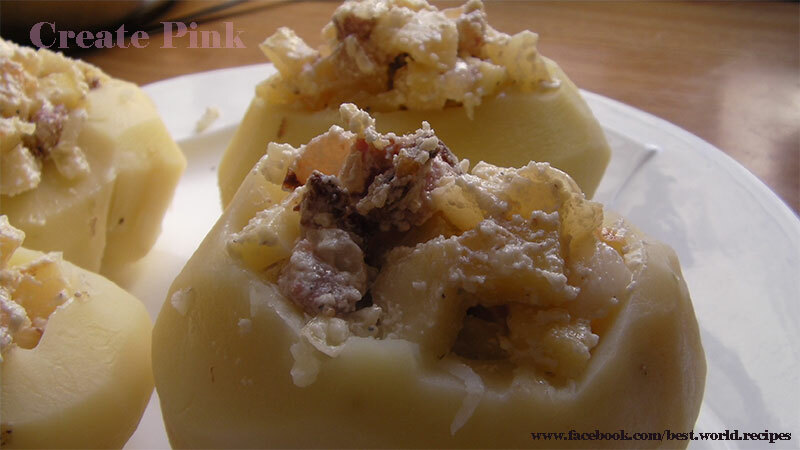 1/4 teaspoon salt, 1/4 teaspoon pepper, 1/2 cup shredded cheddar cheese, 3 tablespoons shredded Parmesan cheese, butter. 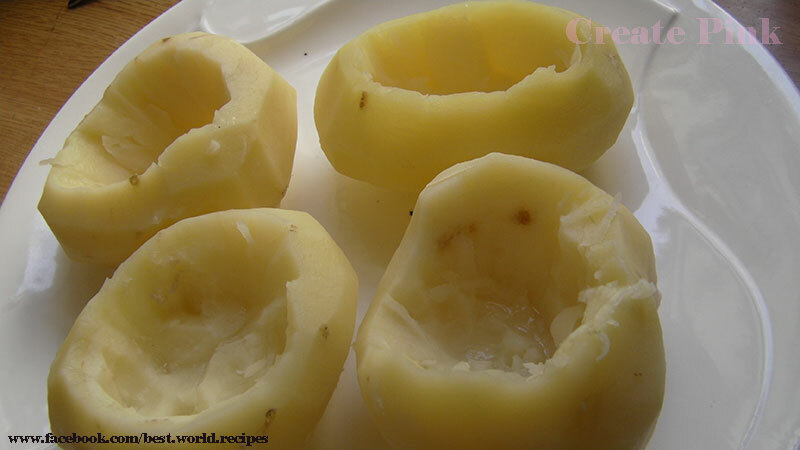 Cut a thin slice off the top of each potato and discard.Scoop out the pulp, leaving a thin shell. In a large skillet, saute the bacon, onion, mushrooms and the potatoes pulp. Set aside. When cool enough add the cream cheese, cheddar cheese salt and pepper. 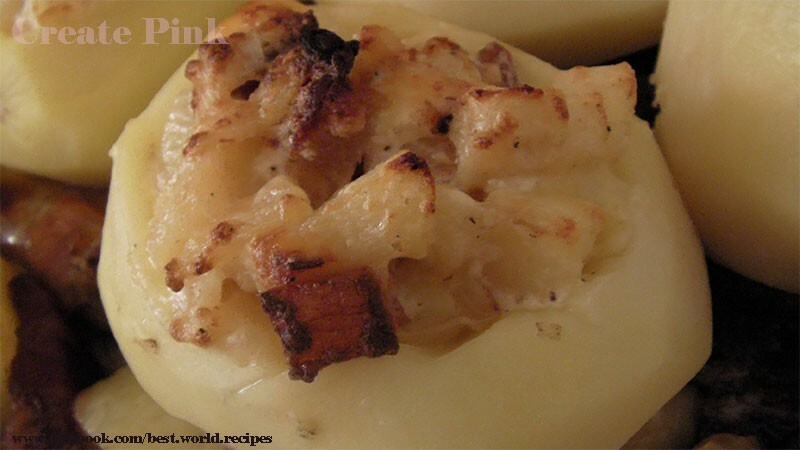 Spoon into potato shells.Top each potato with 1 teaspoon butter and sprinkle some more Parmesan cheese. Place on a baking sheet. Bake, uncovered, at 375° for 20-25 minutes or until heated through.